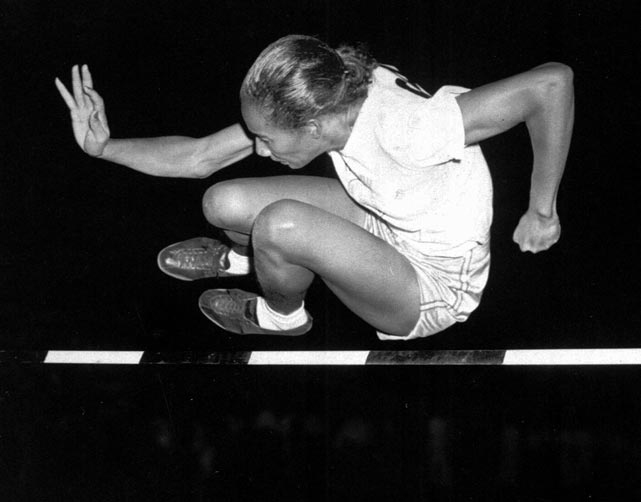 African American women have a long history in the Olympic Games, having qualified for Olympic events since 1932. In 1929, Tuskegee Institute in Alabama organized one of the nation’s first female track and field teams and campaigned for the inclusion of its black athletes in Olympic competition, starting with the 1932 Los Angeles Olympic Games. In both the 1932 Los Angeles Olympic Games and the 1936 Berlin Olympic Games, two Tuskegee track stars, Louise Stokes and Tydie Pickett, earned their places on the U.S. Olympic track and field team. In both Games, 1932 and 1936, U.S. Olympic officials replaced Louise Stokes and Tydie Pickett at the last minute with white runners they had previously defeated. U.S. politics, Jim Crow laws and racist policies played as significant a role as foreign influences in both the 1932 Olympic Games in Los Angeles and the 1936 Olympic Games in Berlin. In 1936, some observers blaimed the German government for forcing a change in the line-up of the women’s team because of that’s country’s attitudes toward non-Aryans, including 20-year-old German-Jewish high jumper, Gretel Bergmann. This German policy against non-Aryans may have caused the Americans to remove Louise Stokes and Tydie Pickett from the line-up in 1936. Because the world was involved in World War II, the Olympic Games were cancelled in 1940 and 1944. The next Olympic Games were held in 1948 in London. In that Olympic Games, African American female track and field stars set records and won medals. And since that time, African American female Olympians–from high jumper Alice Coachman, the first African American female gold medal winner, to sprinter Florence FloJo Joyner, fastest and flashiest Olympian in track and winner of three gold medals, to gymnast Gabby Douglas, most recent of the African American female gold medal winners–have been making Olympic history and showing the world who they are. Sunny Nash is author of Bigmama Didn’t Shop At Woolworth’s, chosen by the Association of American University Presses for its value to the understanding of U.S. race relations and recommended for Native American Collection by the Miami-Dade Public Library System.